His real name was William Ewart Noble. He was trained by Dinh Gilly in London and later in Italy. After the First World War he sang in English cinemas and was discovered by the conductor Percy Pitt. In 1924 he provided for Noble an engagement for the London Covent Garden, where as the first role he took over the part of Marullo in ‘’Rigoletto’’. During the next six years he appeared at Covent Garden in small parts and only in 1930 he had a huge success as Sharpless in ’’Madama Butterfly’’ and especially in 1931 as Germont-père in ‘’La Traviata’’ opposite Rose Ponselle. In 1937 he sang there in the premiere of the opera ‘’Don Juan de Mañara’’ of E. Goossens. Till 1938 he was active as the first baritone of the London Covent Garden. In 1947 he again appeared here. He further sang with the British National Opera Company in London and with Carl Rose Opera Company, made guest performances at the opera houses of Cleveland (1935-36) and Cincinnati. At Convent Garden he performed in premieres of several operas: ‘’Pickwick’’ of A. Coates (1936), ‘’Judith’’ (25. 9. 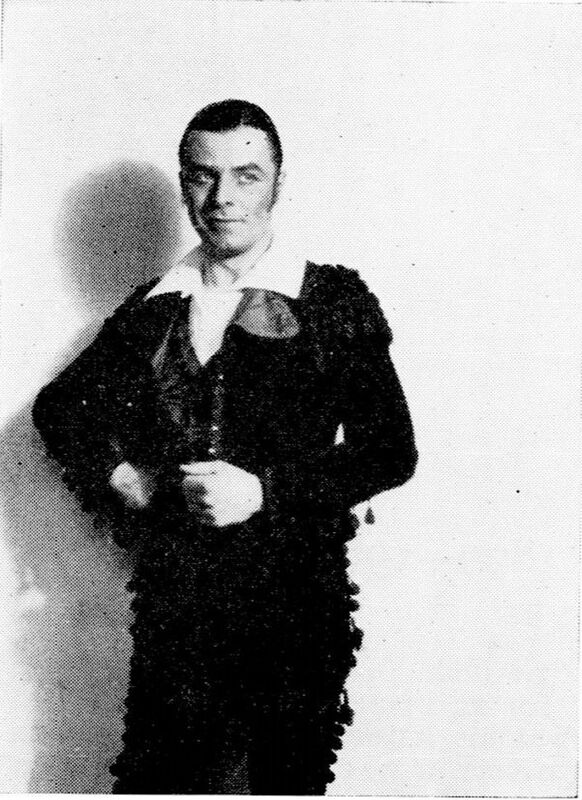 1929), ‘’Don Juan de Mañara’’ (24. 6. 1937) by E. Goossens.